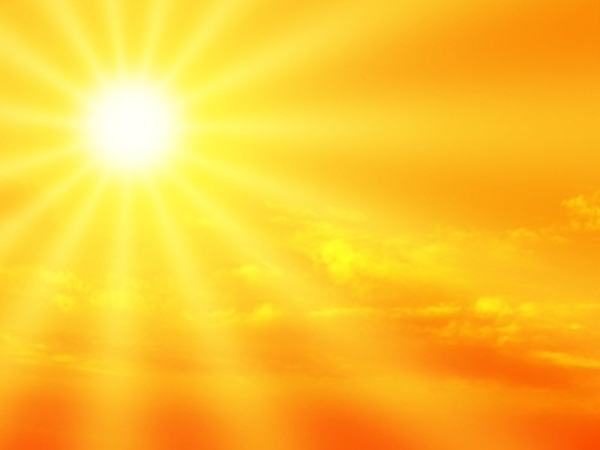 Over time, exposure to the UV radiation in sunlight will degrade plastics. Polymer photodegradation occurs when non-visible UV radiation made up of short wave lengths breaks down the polymer chains in plastics. This process results in the deterioration of physical properties such as loss of impact strength, changes in color, cracking, loss of elongation and tensile strength or chalking of the surface. For example, garden chairs lose their gloss and become brittle, the color of stadium seats appears chalky and some plastics will yellow and crack. Thus the amount of energy transmitted to a plastic part in one year of continuous outdoor use is 220kcal/cm2/year in Sudan while in Sweden it is 70. 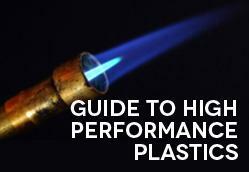 Each plastic is sensitive to certain wavelengths within the 290-400 nm UV region. Polypropylene has three maxima at 290-300, 330 and 370 nm. The range for nylon is 290-315 and PVC homopolymer is 320. Polymer photodegradation occurs when UV light from the sun is absorbed by chemical groups in the polymer formation called chromophores. The polymer formula may include other additives such as halogenated flame retardants, fillers and pigments. UV stabilizers have been developed and are added to a polymer to inhibit the photoinitiation processes. The top three types are Ultraviolet Absorbers, Quenchers and Hindered Amine Light Stabilizers (HALS). Quenchers return excited states of the chromophores to ground states by an energy transfer process. The energy transfer agent functions by quenching the excited state of a carbonyl group formed during the photo-oxidation of a plastic material and through the decomposition of hydroperoxides. This prevents bond cleavage and ultimately the formation of free radicals. Nickel quenchers are a common type used in agricultural film production. These are not widely used as they contain heavy metal and contribute tan or green colors to the final product. Nickel quenchers are not as effective as the Hindered Amine Light Stabilizers discussed next. HALS are long-term thermal stabilizers that act by trapping free radicals formed during the photo-oxidation of a plastic material and thus limiting the photodegradation process. The ability of Hindered Amine Light Stabilizers to scavenge radicals created by UV absorption is explained by the formation of nitroxly radicals through a process known as the Denisov Cycle. UV stabilizers for a wide range of plastics. For example, HALS has enabled the growth of polypropylene in the automotive industry. While HALS are also very effective in polyolefins, polyethylene and polyurethane they are not useful in PVC. As all three function by different mechanisms, they are often combined into synergistic UV absorbing additives. For example, benzotriazoles are often combined with HALS to protect pigmented systems from fading and color changes. As a product developer It is nice to find a little quick study course such as yours to help me understand terms and applications for modern tech. Thank you for the information. will revisit your sight in future. Thanks. Thanks for your positive feedback Matthew! May you let me the commercial additives for Uv stabilization for plastics film used in agriculture or film exposed to the sun and the sources where they can be bought from. Thanks. Craftech does not manufacture film. We do use UV additives in various plastic resins we injection mold, but I’d suggest you check with a film maker for accurate guidance. The answer will in part depend on what plastic you need UV protection for. Good luck! Hi, I have a question regarding certified plastic resins without UV additive. My question is, if we add a UV treatment to a UL certified resin with no UV treatment, do we void the certification? Does the addition of the UV treatment affect the resins flammability or other ratings? Yes the UL approval is on the material also and changing the formula for the resin would require complete UL Re-Certification. Exactly right. Thanks for chiming in Scott. I have a set of Grosfillex polypropylene chairs on my patio and they receive a south western sun every day all year long. They are never put away/stored during the winter. Grosfillex tells me that they put UV inhibitors in the poly mixture prior to pouring in the mold. My question is: Do the additives break down in polypropylene after a time? If so, what is the approx time? Don – I would suggest asking the manufacturer this question. Only they would know how much UV inhibitor was used – and they may have tested for longevity and have your answer. Are you looking for lamp shades?